By Deepa Chansoliya, NLIU, Bhopal. An athlete was identified by UPA for inclusion in the Registered Testing Pool on 31/05/2011 and by signing the corresponding receipt on 24/09/2011; she confirmed that she was aware of her duties to file her accurate current location according to Article 14.3 of WADA Code. Later on, she missed to file her whereabouts information for two times and one missed test, for which she did not provide any justification either. She was informed by UPA that her omission constituted first filing failure, second filing failure and third filing failure. As a consequence, she was informed by UPA that due to three filing failure/missed test within 18 months, she had violated Article 2.4 of the Norme Sportive Anti-doping. After proceeding before CONI, On 30 May 2013, it imposed a period of six months ineligibility on the Athlete from 30 May 2013 to 29 Nov 2013. On 8 July 2013, the appellant filed a statement of appeal against the CONI award with the CAS and requested that the appeal be decided by a sole arbitrator. Second respondent requested to dismiss the appeal. But, on 8 October 2013, the case was handed over to a sole arbitrator. On 31 October 2013, the appellant stated his preference to have issued an award based on the parties’ written submissions. Further to an evidentiary request from the Sole Arbitrator, the First Respondent submitted the TNA complete case file on 7 Nov 2013 and underlined that it would not take an active part to the present procedure and therefore leave the issue regarding the holding, or not, of a hearing to the Sole Arbitrator’s discretion. On 8 Nov 2013, the Second Respondent was provided with the application form by the CAS Counsel however failed to return the form to the CAS Court Office. 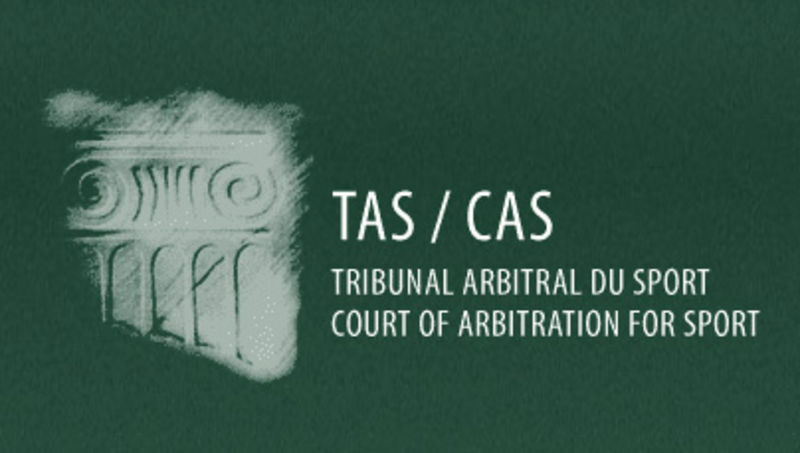 On 12 Nov 2013, the CAS Court office forwarded the TNA complete case file to the Sole Arbitrator and to the relevant parties. On 3 Dec 2013, the parties were informed that Sole Arbitrator had decided to issue his award on the basis of the CAS file, which included the CONI file. Further, the Sole Arbitrator invited both Respondents to reply within a week to which none of the Respondent submitted reply. Later on, both the parties signed the order of procedure including the agreement on submitting an award based on the file and parties’ submissions. Appellants contended that due to three filing failure and missed tests, the Second Respondent has violated Art. 2.4 NSA/ Art. 10.4 WADA. According to Art. 4.3.3 NSA/ Art.10.3.3 WADA Code, the period of ineligibility for violation of Art 2.4 WADA Code shall be at a minimum one year and at a maximum two years based on the Athlete’s degree of fault. The appellants further contended that Since Art 10.5.2 WADA Code cannot apply to reduce a sanction for a violation of Art. 2.4 WADA Code, therefore it is clear that CONI applied the WADA Code wrongly. The First respondent contended that the commentaries to the articles of WADA Code are guidelines for the hearing bodies and not mandatory. It also contended that the last part of the commentary of Art.10.5.2 WADA Code read.. “10.5.2 should not be applied in cases where Articles 10.3.3 or 10.4 apply” instead of “10.5.2 shall not be applied”. Since it has to be understood as a guideline, CONI should be allowed to make its own judgment call. The Second Respondent pleaded confirmation of the CONI award submitting that she has no financial liquidity to mandate a lawyer, her test-missing was caused by exceptional circumstances because she had to travel to her hometown to meet her doctor, she cannot understand why WADA files for a prolongation of her ineligibility. Art. R49 & Art.13.2.3 of the WADA Code, Article 37 and 38.1 NSA were also observed and according to them, the deadline to appeal expires 21 days after the last day on which the Second respondent could have appealed against the CONI award (30 days deadline). It was held that considering the fact that the statement of appeal was filed on 8 July 2013 and the Appealed Decision was notified to the parties on 7 June 2013, the appeal in admissible. CAS has jurisdiction by the fact that the parties had signed the Order of procedure. Jurisdiction is also based on Art 38.1 NSA and Art.13.2.3 WADA Code. Further, the Sole Arbitrator considered that the NSA and WADA Code shall apply in the present case. He considered following article to be relevant: Art 2.4 NSA/ 2.4 WADA Code which talks about Anti-Doping Rule Violation, Art. 4.3.3 NSA/ Art 10.3.3 WADA Code which talks about ineligibility for other Anti-Doping Rule Violations, Art. 4.5.2 NSA/ Art.10.5.2 WADA Code which talks about elimination or reduction of period of ineligibility based on exception circumstances. Subsequently, the Sole Arbitrator will only refer to the articles of the WADA Code. The Sole Arbitrator observed that the Second Respondent has committed violation of Anti-Doping Rules i.e. Art. 2.4 of WADA Code. It was further observed that according to Art.10.3.3 WADA Code, for violation of Ar.2.4 WADA Code, CONI had correctly applied the minimum duration of ineligibility of one year. As per the commentary of the WADA Code (which is directly included in the WADA Code document), the Sole Arbitrator deemed it evident that Art.10.5.2 does not apply in cases involving a sanction under Art.10.4 WADA Code. Further, the Sole Arbitrator held that there seems no reason to follow CONI’s interpretation of the commentary as guideline, especially not regarding the sanctioning regime of the WADA Code. Also, the fact that CONI is signatory of the WADA Code; it must implement the articles and not corresponding comments. The NSA has correctly implemented the sanction regime and therefore, the corresponding article of NSA shall be interpreted in the same manner as the WADA Code. CONI introduced a substantive change, namely a sanction below one year and therefore, the sanction imposed by CONI is neither in compliance with the WADA Code not the NSA. On the above grounds, the appeal was upheld. Keeping reliance on Art. R 64, it was decided that as the First Respondent has misapplied the relevant provision, shall bear the arbitration costs, to be determined and served on the parties by the CAS Court office. In addition, the First Respondent shall grant the prevailing party a contribution towards its legal fees and other expenses incurred in connection with the proceedings. The correct and consistent interpretation and application of the sanction system leads to the conclusion that Art.4.5.2 NSA (10.5 WADA Code) is not applicable in cases concerning a violation of Art. 4.3.3 NSA (10.4 WADA Code). Hence, the minimum period of ineligibility of one year (Art.4.5.2 NSA) shall apply.